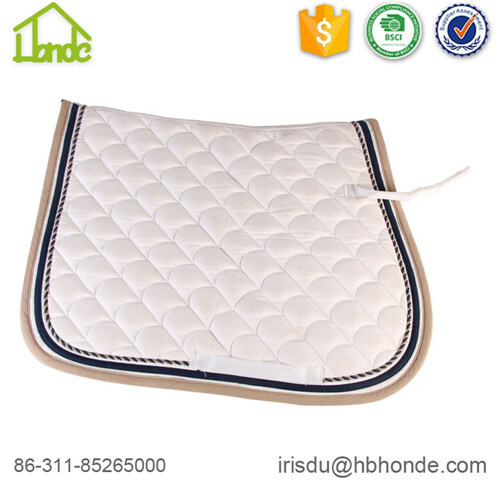 In general, we make polycotton horse saddle pad for you. 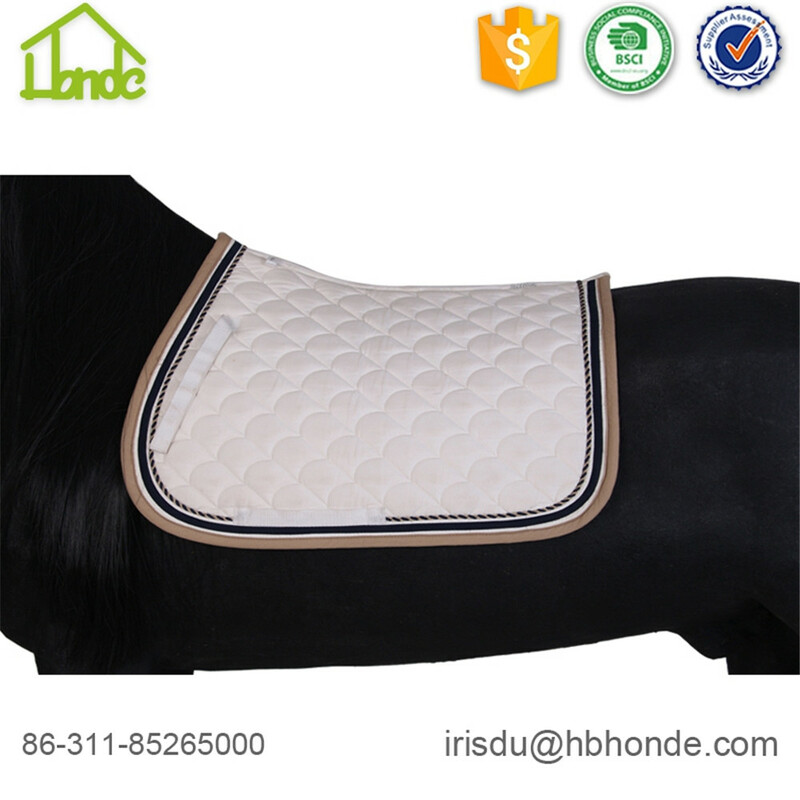 Except for this fabric, we also provide you cotton horse saddle pad, faux suede horse saddle pad, various Sheepskin Horse Saddle Pad. 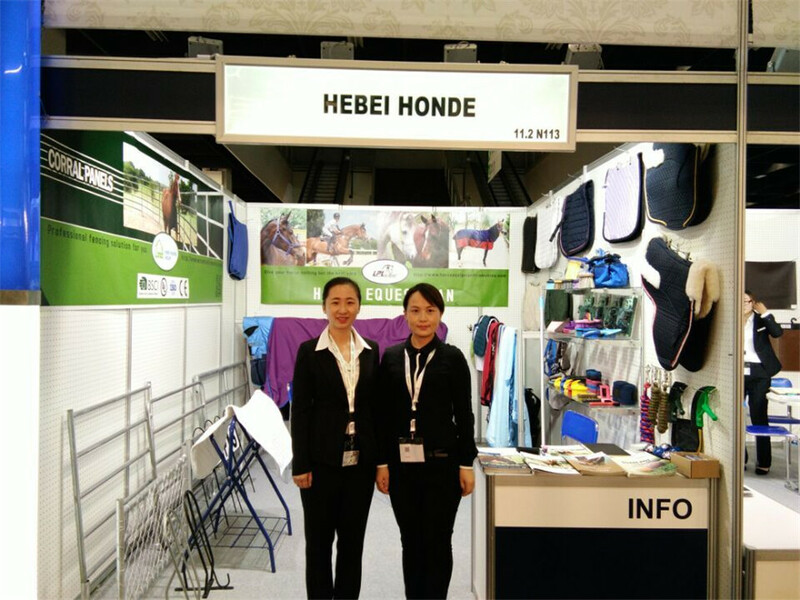 As manufacturer, we support you direct fabric color, customized pattern, customized piping, embroidering your own logo on saddle pad is also no problem. Expect that we can set up long term cooperation business relationship. We ensure you good quality and best service. Please look at the attached English Horse Saddle Pad. 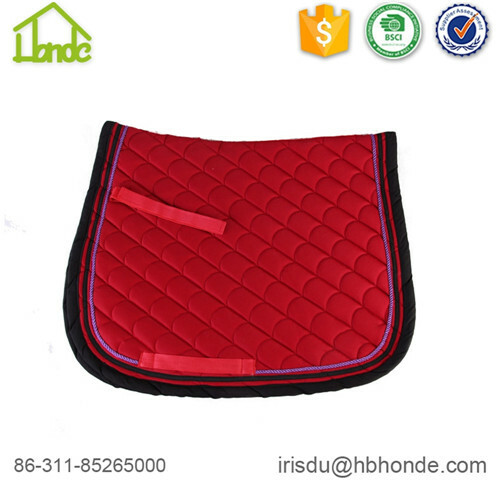 We can also make customized saddle pad for you according to your demand, your sketch or your sample. 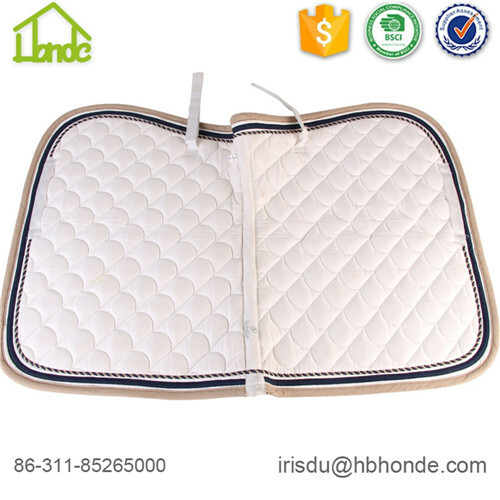 Except for Jumping Saddle Pad, Our Dressage Saddle Pad, Western Saddle Pad, half Sheepskin Saddle Pad, dressage sheepskin saddle pad are also popular. We can produce for you different colors, customized pattern and size. different thickness to meet your demand. We go to Spoga exhibition every year to show our products. 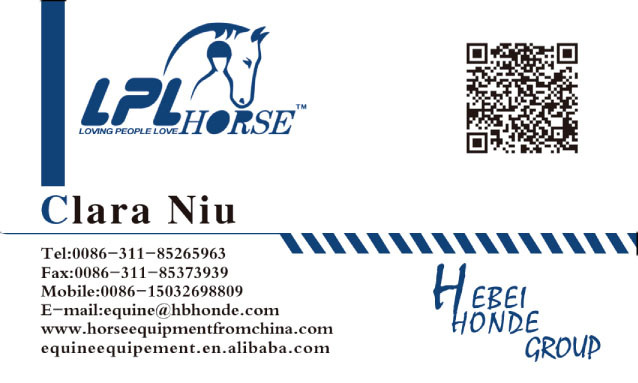 Our main products are Horse Rug , horse saddle pad, Horse Lead Rope , Horse Halter , Horse Bandage , Horse Fly Mask . Having invest Horse Grooming Kits factory, so we expand our products range, including Horse Hoof Pick , Horse Sweat Scraper, Horse Brush , Horse Bucket etc. 1. 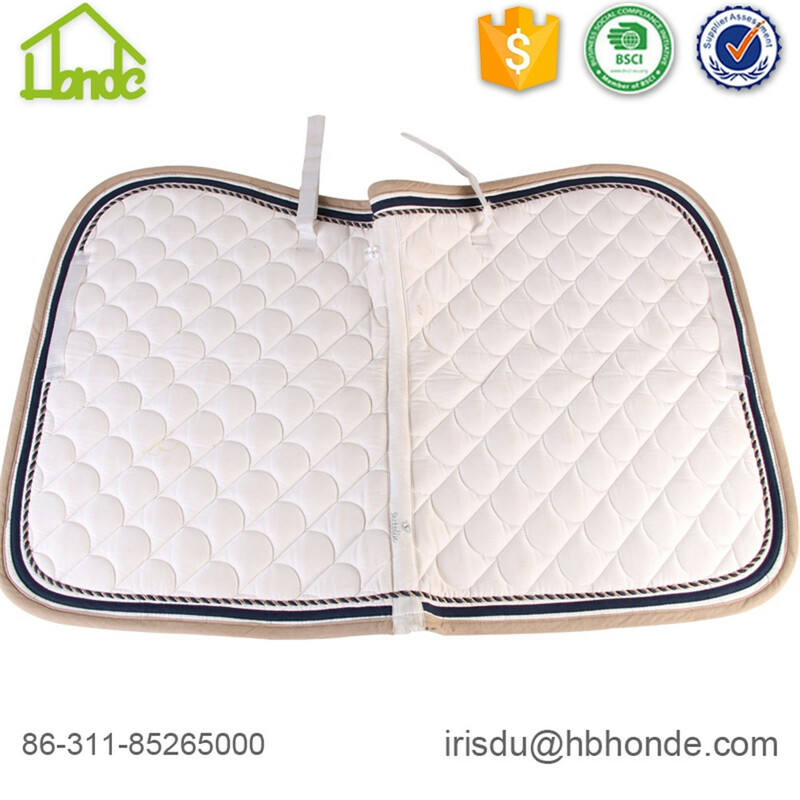 Can you make other styles of sheepskin horse saddle pad? yes, we can. 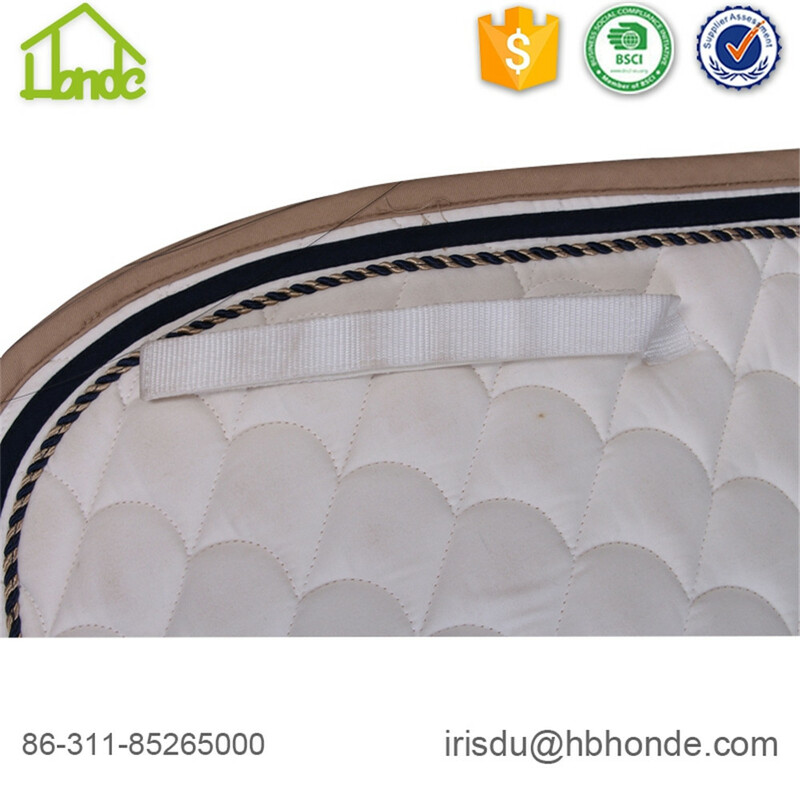 In addition to half sheepskin horse saddle pad, we also produce dressage sheepskin horse saddle pad, sheepskin western horse saddle pad. As manufacturer, try to make you satisfied. You are welcome to contact me to know more details. 2. Can i have several colors for bulk order? We usually have about ten colors in stock for production, if you choose the color we have, you don't need to reach our MOQ. 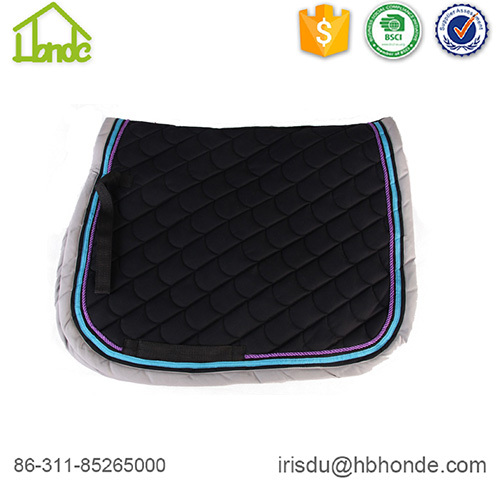 Looking for ideal Cotton Horse Saddle Pad Manufacturer & supplier ? We have a wide selection at great prices to help you get creative. All the Fish Pattern Cotton Horse Saddle Pad are quality guaranteed. 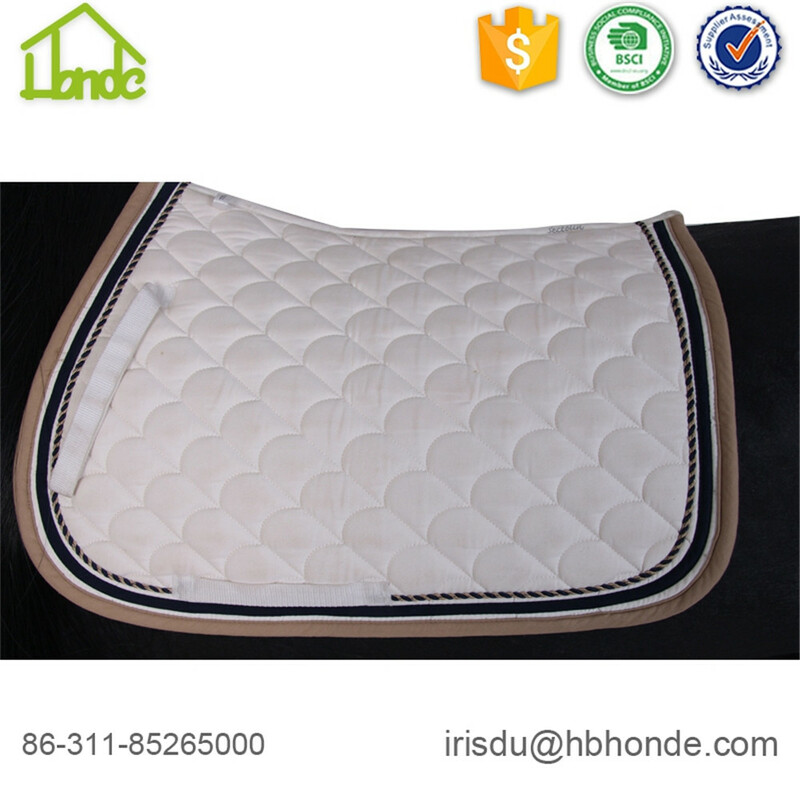 We are China Origin Factory of White Dressage Cotton Horse Saddle Pad. If you have any question, please feel free to contact us.